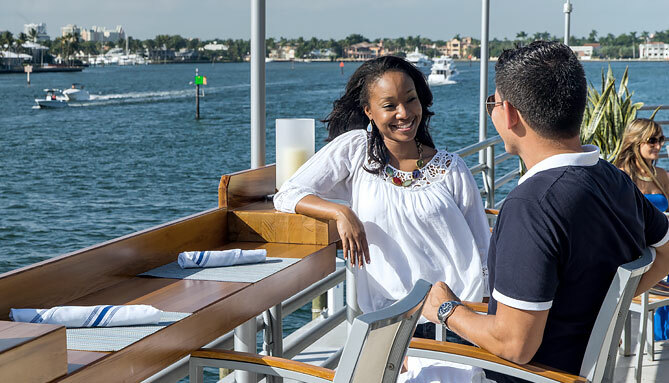 Begin your day with breakfast at Mariners, make your way to the pool for afternoon snacks at Orchids, and watch the sun set over the Intracoastal at Pelican Landing. 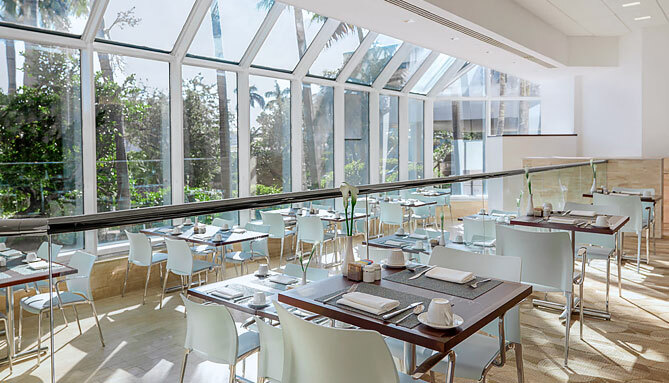 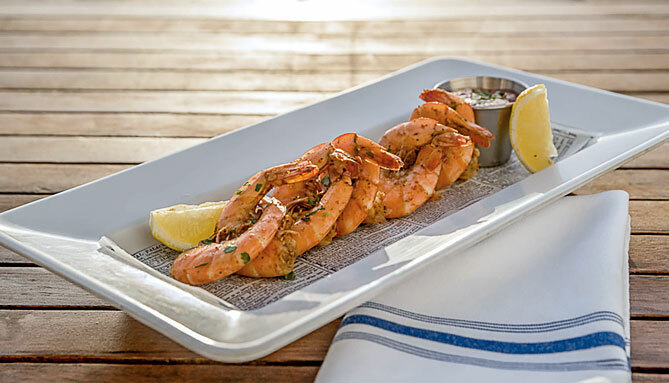 For fine dining and fresh seafood, Grille 66 & Bar has got you covered, while The Lounge allows you to enjoy a meal overlooking the courtyard and pool. 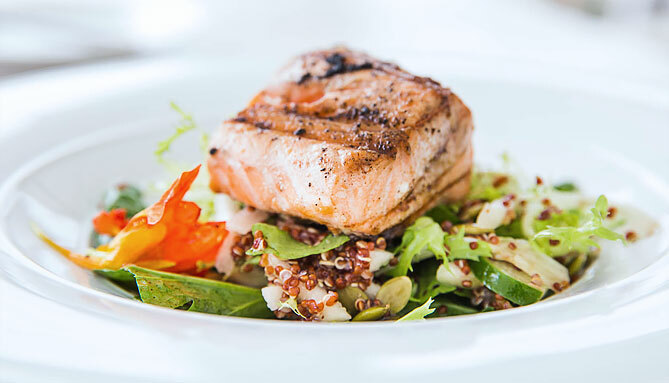 If you’re in the mood for Room Service, just give us a ring and we’ll be right up. 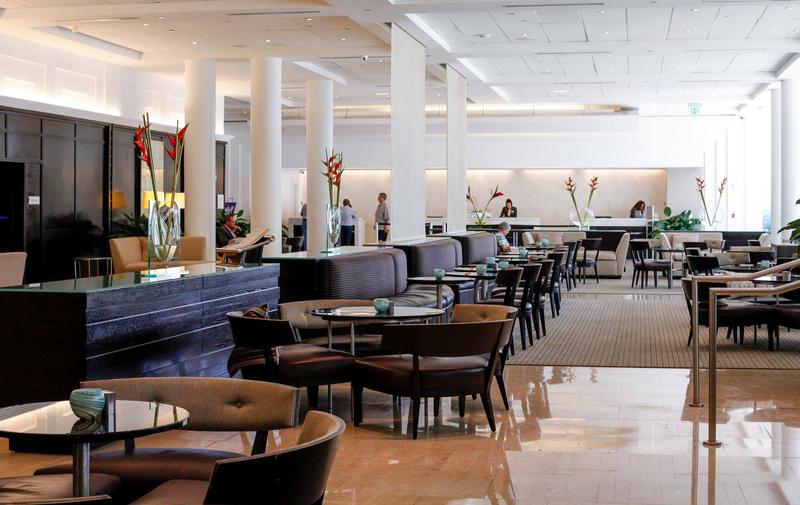 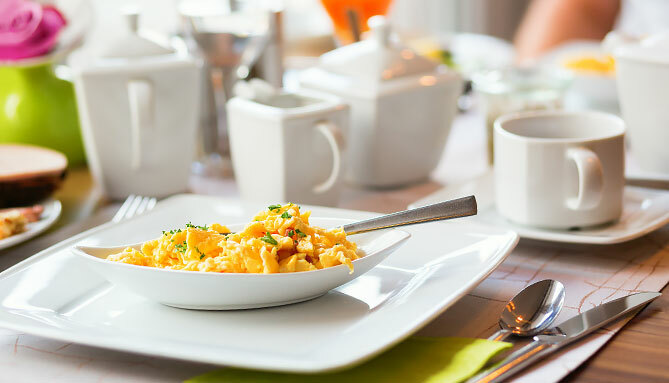 Located off the main lobby, Mariners features locally sourced breakfast favorites, including fresh fruit smoothies, yogurt parfaits, omelettes and pancakes. 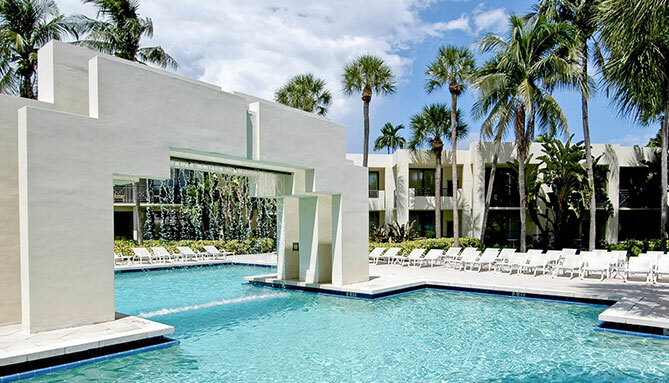 Serving tropical cocktails and seasonally-inspired fare, The Lounge is a lively spot for evening dinner and drinks overlooking our beautiful courtyard and pool. 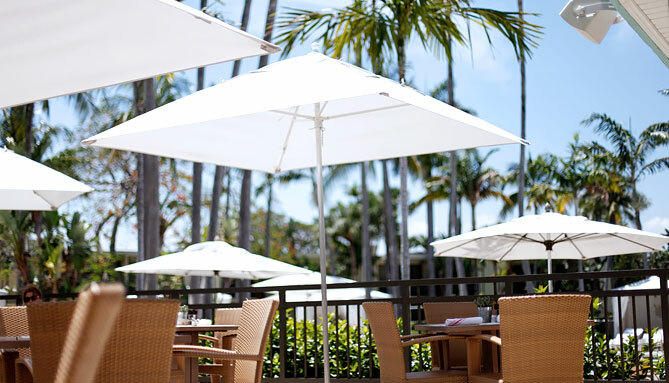 Ideal for lunch and afternoon snacks, Orchids Pool Bar has a cool “come as you are” vibe with friendly poolside service—perfect for a round of tapas and our Drink of the Day. 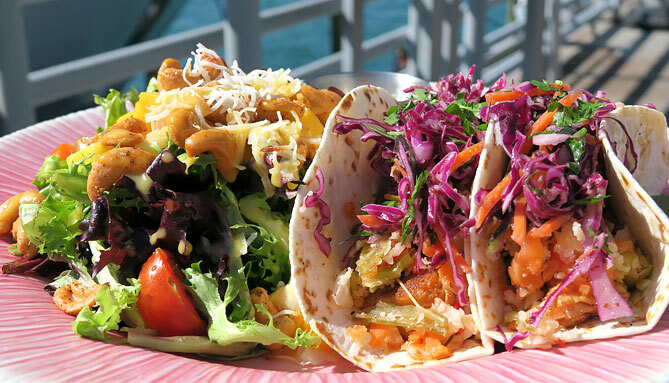 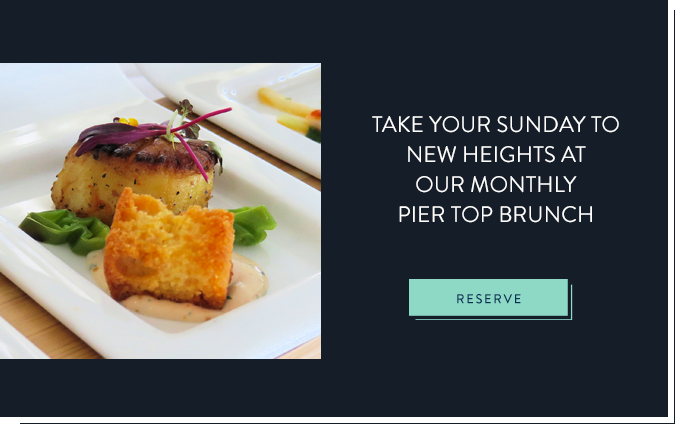 A favorite restaurant of Fort Lauderdale locals, Pelican Landing is the place to be for fresh fish tacos, burgers, craft beers and stunning sunsets overlooking the Intracoastal. 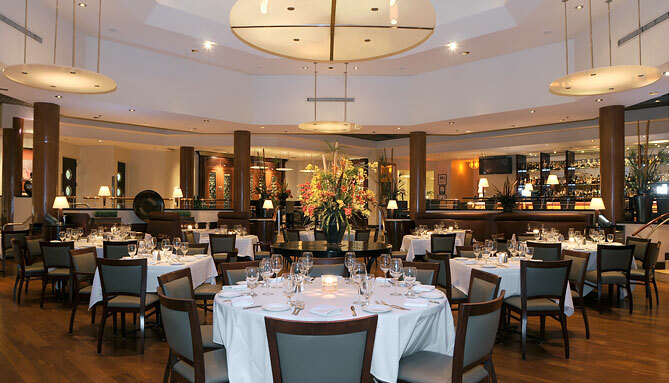 Led by 4-star chef Michael Siegel, Grille 66 & Bar boasts prime-aged steaks, fresh Maine lobsters and an expert Sommelier to help you choose from over 800 wines.